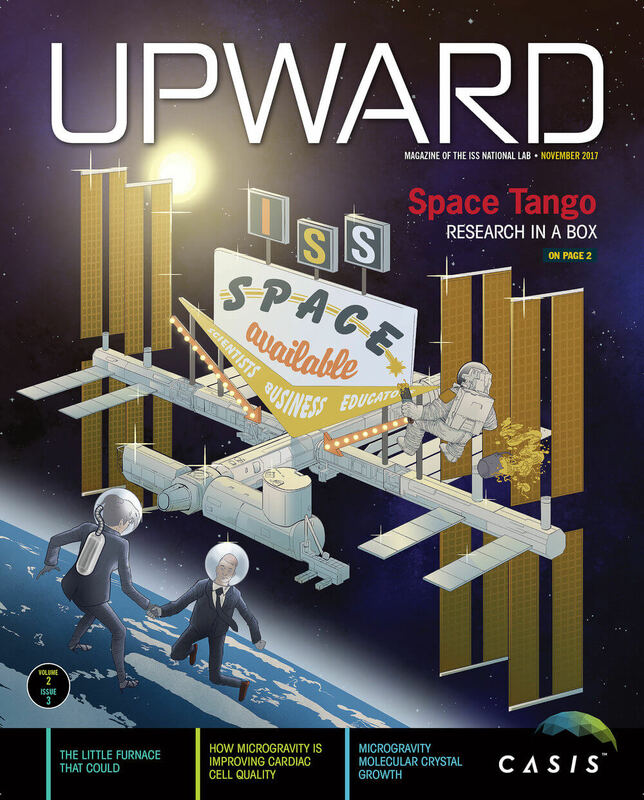 Upward, the official magazine of the ISS National Laboratory, features Space Tango as their front cover story in the November 2017 edition. Space Tango: research in a box details not only the company mission, but provides a detailed look at Space Tango’s innovative efforts to utilize microgravity for application on earth. Space Tango has worked on a series of diverse projects for equally diverse research groups. Some of these, mentioned in the article along with a debriefs on their respective research, include Magnitude.io, the Craft Academy, and the University of Kentucky. Read Space Tango: Research in a Box at Upward today.